My BFF Nancy Jane and I “discovered” the Malibu Café recently. Malibu Cafe -- what a find! I guess it’s no secret to locals, but it was our first time there, and what a find. A playground for the whole family! 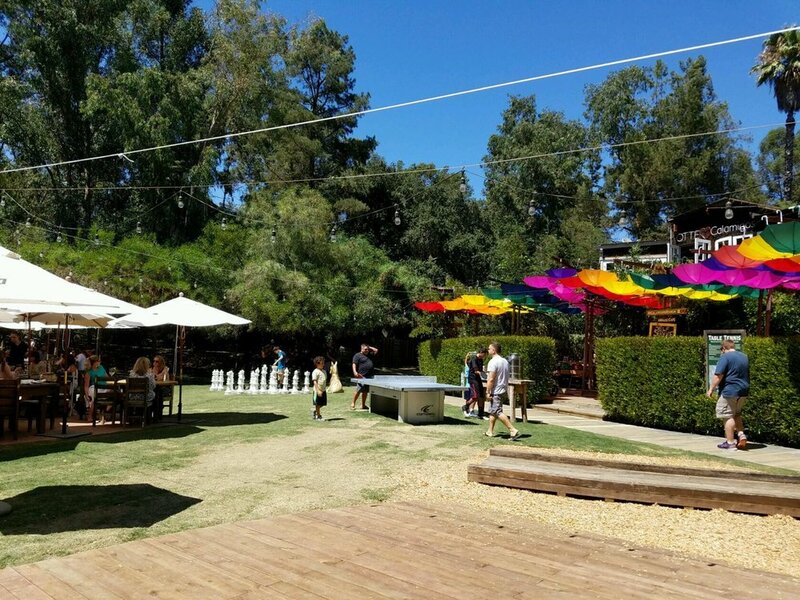 Part of the famed Calamigos Ranch off Kanan Road, the Malibu Café Country Kitchen & Bar offers what they call Nouveau Barbeque. Charming rustic outdoor bar with the best mint julep ever! BFF Nancy enjoying hers! Smoked purple cabbage. Unique and delicious! The food and service are fabulous but it’s the unique playground atmosphere for both kids and adults that make this a destination dining experience. Do you have a favorite hideaway place to eat? Would love to hear about it!